In line with the strategic directions of the Durban University of Technology (DUT), the Centre for Excellence in Learning and Teaching (CELT) strives to be both student-centred and critically engaged in all University programmes and operations aimed at enhancing student success. The Centre’s goal is to make direct contribution to the creation of a learning environment that is both intellectually rewarding and truly formative for the DUT students. 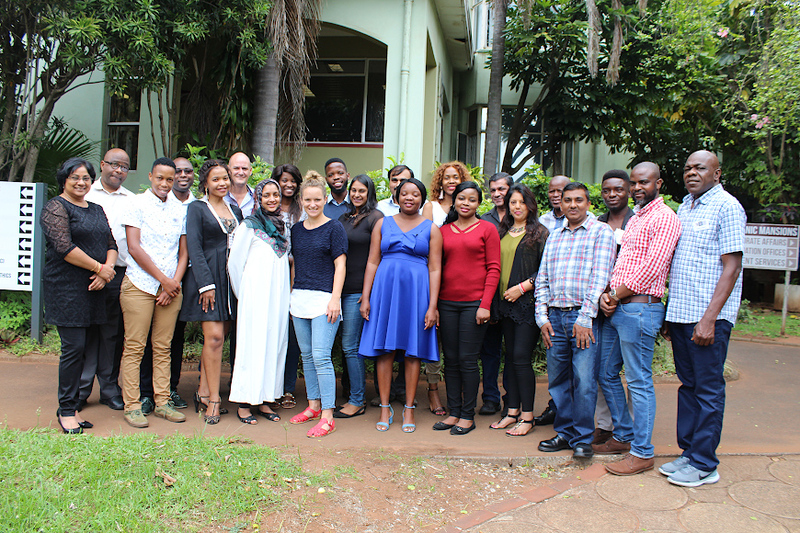 In line with the University’s strategic guidelines, annually, CELT hosts the Academic Induction Programme workshop sessions which form part of a suite of induction programmes for newly appointed staff at DUT. The block workshop session was held with 21 participants at the Steve Biko Campus, CELT Boardroom, from 22 to 25 January 2019. In attendance at the event were the Director of CELT-Professor Thengani Ngwenya, the Acting DVC Teaching and Learning-Professor Theo Andrew and the DVC Research, Innovation and Engagement, Professor Sibusiso Moyo. The purpose of DUT’s Induction programme is essentially to orientate the new academic staff to the institution, to the South African higher education context and to workplace practice. In his welcome address to the DUT colleagues, Prof Ngwenya invited them to contribute to DUT’s teaching and learning strategy which will guide an institutional approach to learning, teaching and assessment. “The Academic Induction Programme brings together newly appointed academic staff from all six faculties from all campuses of the University. It is one of the few multidisciplinary spaces on campus that provides opportunities for staff to meet, collaborate, network and engage in critical conversations about learning and teaching in higher education and, particularly at DUT,” he said. Prof Ngwenya also added that the six month programme is underpinned by a transformative intention that fosters and promotes reflective practice and scholarly teaching and is structured with a four-day block session and follow up monthly workshop. The programme is coordinated and facilitated by Nalini Chitanand and CELT colleagues with contributions from the Writing Centre, Library, CQPA, Co-Operative Education and the Siyaphumelela project. Participants range from junior lecturers to academics engaged in post-doctoral research. Over the years the Induction Programme has proven to be a very effective mechanism for introducing newly appointed staff to the academic culture of DUT. Cherylin Mthembu, lecturer in the department of Clothing and Textile, added that the academic induction was nothing short of beautiful beginnings. “It greatly equips us to both lead and be led, for the mutual purpose of fitting into the shoes entrusted to us by the University,” she said. Zihle Mabaso, a lecturer in the department of Language and Translation, also thanked CELT for a very insightful, empowering and developmental programme. “I have just joined the DUT family but already, through the exceptional and engaging programme I have learnt more productive University teaching and learning skills,” he said. Pictured: Newly appointed academic staff in attendance at the Academic Induction Programme workshop session.